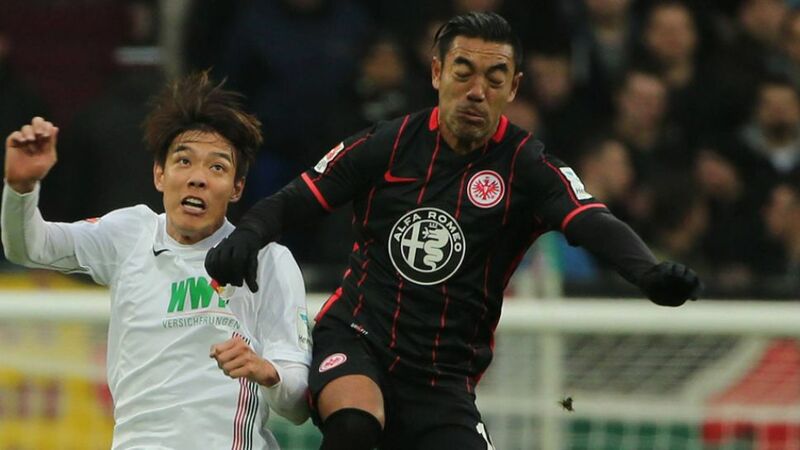 He may have had to settle for a share of the spoils on his full debut for the club, but Marco Fabian put in another impressive display for Eintracht Frankfurt in the goalless draw at FC Augsburg. bundesliga.com: How happy are you with your first starting performance in the Bundesliga? Marco Fabian: I’m happy to have played my first game from the start here in the Bundesliga. It was a difficult game. We knew it’d be an interesting match; Augsburg are tough at home. But we played well, showed our character and the effort the whole team put in was good. bundesliga.com: It was a big fight today. Did you have to change your game for the Bundesliga? Fabian: (Laughs) I knew that you have to fight throughout every game. The intensity and the level of play is high here; you have to fight and win your challenges. But I’m adapting increasingly well and getting used to the rhythm of the game here. I’m happy because I felt very good today. bundesliga.com: It looks like you have integrated very well. How do you feel in Frankfurt?